If you are searching for a fast solution to sell a house in Williamstown, NJ then you are in the right place because our professional home buying company Rapid Home Liquidation is searching for 2 – 3 properties per month in this area, so please feel free to reach out to us for an instant free quote at (215) 882-9828 – call or text. Our team can have an instant fair cash offer on your desk in less than 20 minutes once you tell us exactly how much the estimated cost of repairs will be and how much your home has recently appraised for. Getting an appraisal is usually pretty simple, all you have to do is contact a local real estate agent in your area and ask them to do a “Broker Price Opinion” to see how much the home is worth when compared to other similar properties in the Williamstown area. Once we have the estimated resale value of how much the home will be worth once it’s fully fixed up, we will then run the numbers through our custom home buying formula to accurately determine the exact amount of cash that we are willing to offer you for the property, and present it to you in written or verbal format, and allow you some time to think it over to see if it’s a good fit for your current situation. If you do decide that you would like to continue with our program, then the next step in the process is to sign the appropriate contracts and forms, and then send them over to a local title company, who will check the title for any liens or judgments, and then set a closing date for sometime in the coming weeks where we will finally consummate the sale and exchange the funds for the deed. We only use local, reputable title companies who can close on a fast timeline, and we only choose to work with reputable closing agents who are well-versed in the arena of dealing with sticky situations that constantly challenge them time and time again. Quick cash closings. Since we are professional house flippers who pay cash, we can afford to close extremely fast on whatever timeline you choose. This helps you avoid having to wait around for weeks or even months while your home sits on the open market and the listing agent attempts to find a qualified buyer. No commissions or fees. Unlike listing your home on the MLS through a licensed agent, when you sell your home directly to a private cash buyer such as us here at Rapid Home Liquidation there are no upfront fees or commissions on the sale of the property whatsoever. Sell as-is without repairs. Since we are professional investors who can close quickly and will handle all of the repairs through our general contracting company, it allows you to sell your home in 100% as-is condition without having to make any repairs whatsoever before selling it. Avoid financing delays. Again, since we are able to pay cash and close quickly, you won’t have to worry about the home sitting on the market for an extended period of time while the proper funding is allotted by the mortgage underwriters at your local bank. We are the premiere “we buy houses” company in Williamstown, NJ and we know the area extremely well since the owner of our company, Brian, grew up locally in Franklinville, NJ which is only a few miles down the road. We are real investors who purchase homes using our own cash, and we are constantly seeking out win-win situations where both us and the homeowner can benefit by creating a transaction where both parties are walking away with something that they want out of the deal. The bottom line is that if we cannot come to a sensible solution that works for every person involved, then there is simply no deal to be made, and we will continue looking for more homes in the area to purchase, so please keep that in mind. We buy houses in any condition and at any price in Williamstown, NJ and the surrounding area in Gloucester County and you won’t pay any closing costs, fees, or commissions on the final sale of the home. 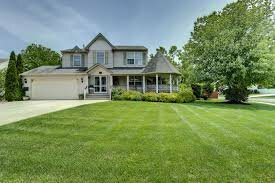 If you are sick of dealing with real estate agents who force you to deal with long delays, expensive fees, and time-consuming processes then you might be a good fit for our professional home buying service and you should definitely get in touch with us immediately to see how we might be able to help you and your family out of a sticky situation. We are the number one home buying company in the area who will pay cash and close fast, so please keep that in mind when you are thinking about all of the different ways to liquidate your property in the shortest time frame possible. We have developed proprietary systems and technology which allows us to make extremely fast offers and close quickly without any types of delays or complications whatsoever. Our team can analyze multiple properties per hour, and we don’t shy away from homes that need an extensive amount of repair work to get them up to their highest market value. If you are ready to get started and take the next step on selling your burdensome property for fast cash then please fill out the form at the top of this page or simply click on the live chat box and someone from our team will be more than happy to assist you by telling you exactly how much cash we can offer for your home, and how soon we can close.